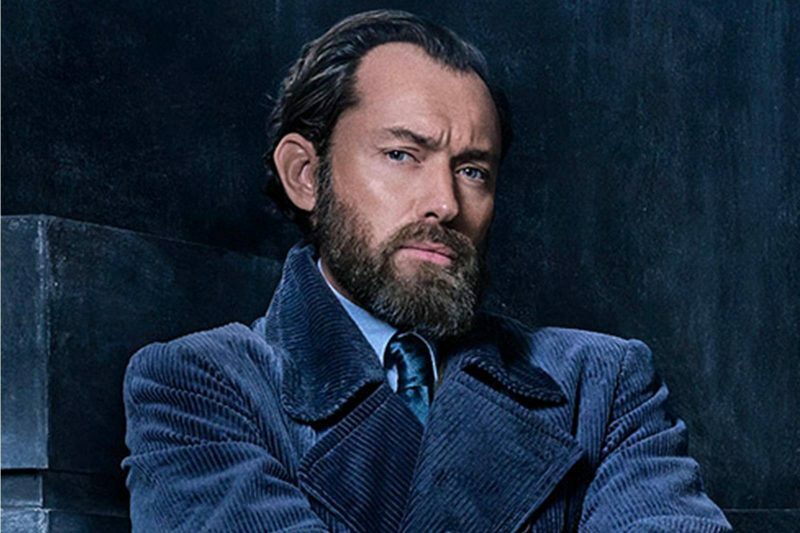 This week, Entertainment Weekly released an interview with David Yates, director of Fantastic Besats and Where to Find Them, and its upcoming sequel, The Crimes of Grindelwald, in which he revealed how his next film planned to address Albus Dumbledore’s sexuality. This kind of coy, “not explicitly” language is a reminder that when it comes to its mainstream, tentpole blockbusters, Hollywood is still living under a self-imposed Film Code, in which meaningful looks and coded gestures that “the fans are aware of” take the place of actual gay representation. This squeamishness about LGBTQ content in movies seems strange given that American television is currently in the middle of a miraculous springtime for queer representation, with new LGBTQ characters blossoming on virtually every show worth watching. But the disconnect between TV and and film representation boils down to just one thing: money. Here’s how it works: movie studios count on making most of their profits from big, splashy, PG-13 movies they can market to a broad audience, not just in the US but overseas. This means movies that are relatively light on dialogue (subtitles are a chore but explosions need no translation), and that won’t run afoul of foreign censors (READ: GAY STUFF). This is why Captain America can only explain his obsession with Bucky as friendship, why Poe Dameron can only bite his lip meaningfully at Finn, and why two female characters can rarely be trusted to speak to one another onscreen at all. Studios that have pushed this envelope have suffered significant consequences. Beauty and The Beast’s gay milisecond (in which a character whose name translates as “the crazy” performs one dance-twirl with another man, who moments before had been living out his days as a candlestick) earned the film a 16+ rating in Russia. The Power Rangers movie was also slapped with an 18+ rating in Russia for a “questioning” moment with the Yellow Ranger that flew over most viewers’ heads. The loss of this market, and threats of bans in other countries, outweighed studios’ desire to perform a social good. So these massive cinematic universes, the last great cultural export of the United States, remain stubbornly heterosexual. Seeing gay characters left out of the Marvel Cinematic Universe is painful, especially since the X-Men were originally conceived as an allegory for queerness. It’s even more painful in the Star Wars universe, where we are expected to believe that our heroes have come across a planet ruled by a race of barely-mobile giant slugs, but no gay people. Still, neither hurts as much as the news that Albus Dumbledore is remaining closeted in the next Fantastic Beasts. Dumbledore’s straightwashing is painful for several reasons. One is that Dumbledore is canonically gay, according to J.K. Rowling. We’re not asking for some sort of ret-conned inclusion here. We just don’t want this simple fact of his character to be treated as a secret to be dressed in purple and tip-toed around. When Rowling revealed Dumbledore’s orientation after the publication of all seven Harry Potter books, it was a moment of real triumph, a fact that often gets glossed over in our discussions of HP’s queer legacy now. The world in which the books were published was different than the world of today, and had Dumbledore been open about his sexuality at that time, it would have kept those books out of the hands of many children, which may have done more harm than good. Handling the revelation as Rowling did allowed people who had grown up with the books to reread them in a new light, and forced them to accept that Dumbledore, the moral center of Hogwarts, had always been gay. But it’s 2018 now, and the notion that pop culture directed at younger audiences should shroud homosexuality in secrecy is actively damaging. Including gay characters in children’s programming–not doing anything “explicit,” merely unapologetically existing–is a project of vital importance to eradicating homophobia. You cannot introduce kids to gay characters only once they reach adolescence without implying that it is something vaguely shameful, like drugs or cursing or all the other things we build our ratings system around. Queer representation is the primary way cultural attitudes about queerness change, and America’s ability to create this change via our major cultural exports is a responsibility not to be taken lightly. There will be consequences for the films that finally make the leap. There will be bans, yes. That’s why it has to be unmissable franchises like Marvel, Star Wars, and the Wizarding World, taking the risks only they can afford to take to push this issue forward. That David Yates would shirk this responsibility is no surprise, given that he apparently lacks either the clout or the conviction to recast Johnny Depp in the sequel’s title role, even after Depp’s ex, Amber Heard, provided extensive public evidence that he beat her. It’s interesting to note that the rationale behind this decision directly contradicts the one that keeps Dumbledore’s sexuality merely implicit. How can one suggest that children might be harmed by seeing a gay character, but that they will suffer no damage from learning that a man’s career need not be impacted by credible accusations of domestic violence? Rowling herself has responded to the outcry about Yates’ interview by (fairly) saying that none of us have seen the movie, it is part two of a five-part series, and that we should stick with her until it’s finished. That’s a reasonable request, and it does speak to a hyperreactive internet moment in which people often behave like game show contestants with their hands hovering over a button labeled “PROBLEMATIC.” I can understand her frustration with our impatience, but I think Rowling may fail to understand why this issue feels urgent to queer people. Last month GLAAD released a poll which revealed that for the first time in years, gay acceptance is actually declining. People feel less comfortable having LGBTQ neighbors, doctors, and yes, teachers. It’s a bad time to be losing ground, and it is a mistake to think that queer people are being greedy or unreasonable in demanding representation. What we are doing is trying to fortify our position against a rising tide of backlash. Of course, some of the pain we’re feeling might be the natural disillusionment people go through with their heroes, a sense of betrayal that the values imparted by our central childhood story are failing to carry us effortlessly into adulthood. Appropriately enough, that’s a painful revelation that Harry and his readers experienced with Dumbledore himself. The all-knowing, benevolent North Star of Hogwarts had a dangerous tendency to manipulate everyone around him, a vestige of his youthful flirtations with authoritarianism. But it was an excellent lesson, to make us love Dumbledore despite his flaws and his secrets. There’s just no reason his sexuality has to number among the things we are asked to forgive, rather than celebrate.